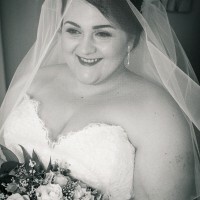 A plus size ballgown that is very feminine. Primarily made of tulle with a floral patterned lace overlay and a gorgeous Swarowski crystal accent. 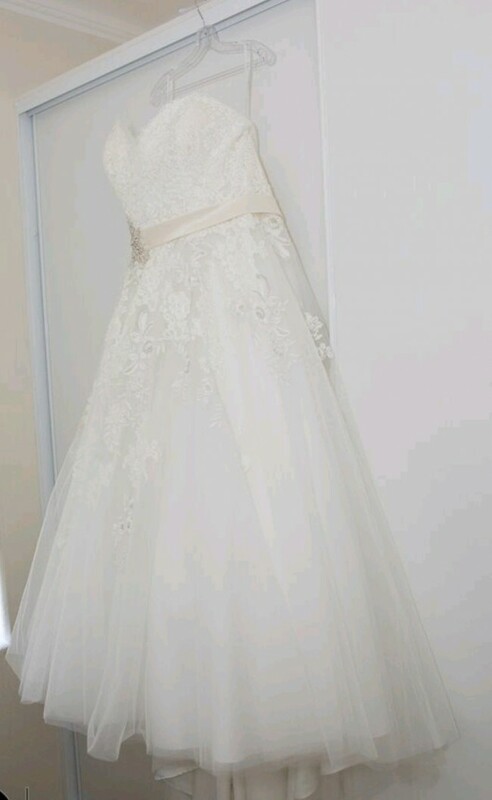 The photos included do not feature a petticoat it is the natural fullness of the dress, its floor length, strapless sweetheart neckline with a mid back (approximately mid rib cage). The back features a zipper with a button cover but it can be altered into a lace up if needed. The dress was altered in the bust, it was taken in under the arms to hold everything better, but still plenty of room for a bigger bust (D/DD). It was also shortened slightly this would ideally suit someone who is shorter than 170 cm, that is for the dress to still be floor length. It has been dry cleaner and taken to a dress maker who replaced two buttons that were loose, she also supplied and extra 5 buttons just in case.